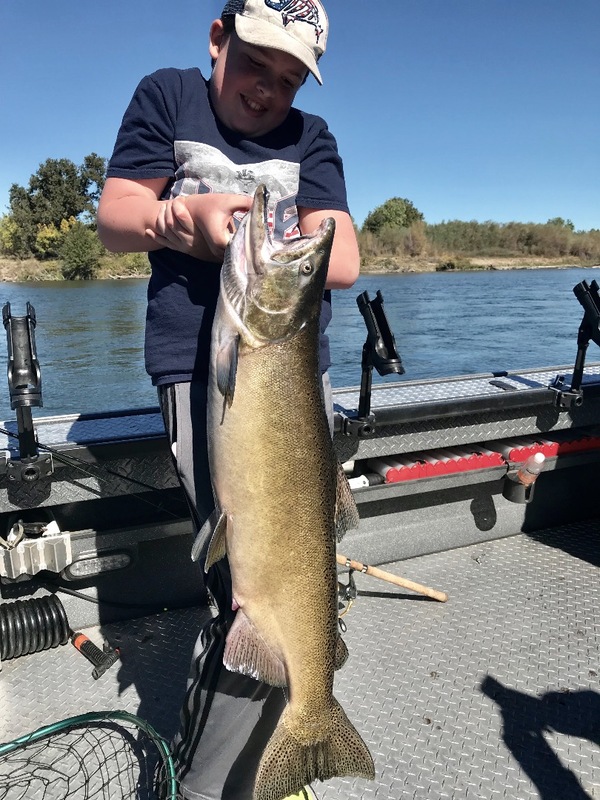 Young Alex with his catch of the day while fishing with us on the Sacramento River this week! 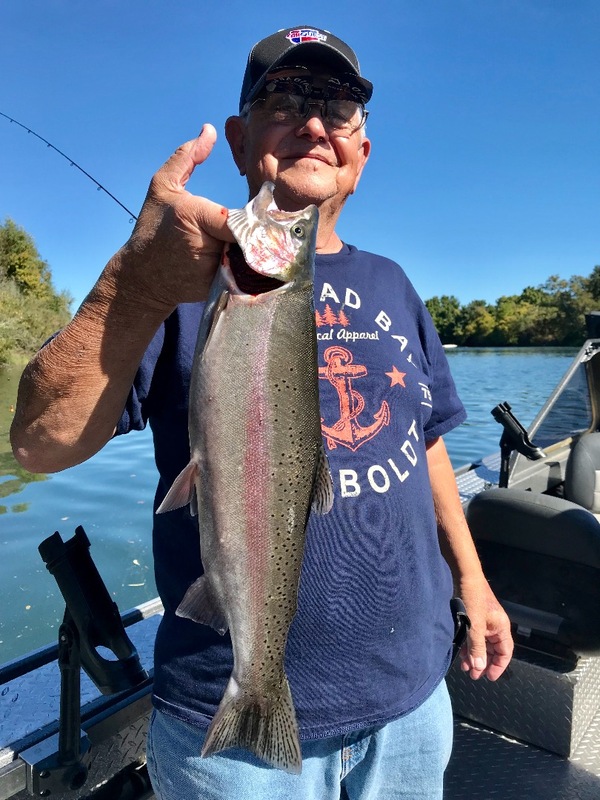 The fishing on the Sacramento River remains consistently productive for King salmon and myself, and other guides as well, are starting to see a few more steelhead showing up river. We were lucky to land several hens (female salmon) the past few days making for a bountiful harvest of salmon eggs for next seasons fishing. Some big 20 plus lb. female salmon have shown up in better numbers which is a good indicator that we area approaching the end of the fall run, probably by the fina days of October. If we dont see any rain before then, we may see the salmon linger in the system for a bit longer. 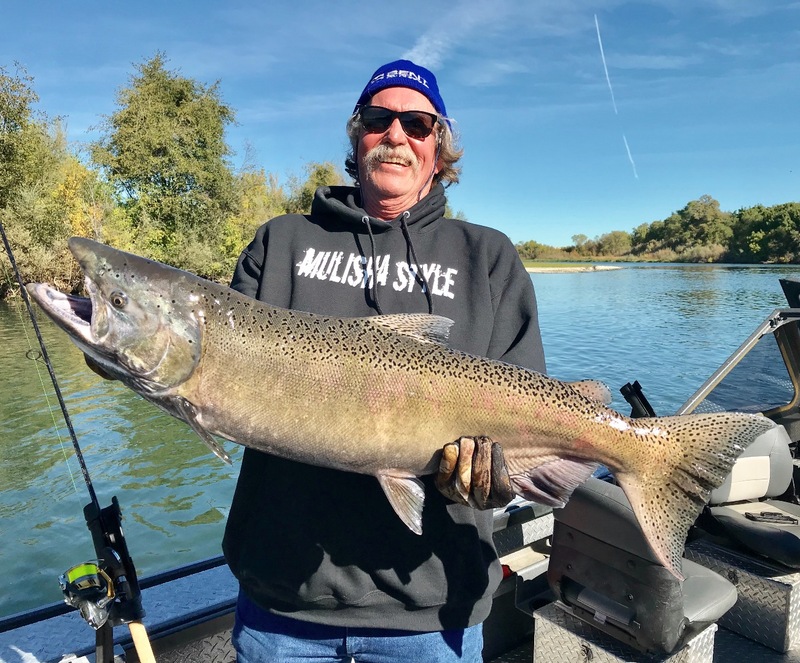 Either way, we can already say 2018 was a good year for salmon fishing on the Sacramento River, and once again confirms the forecasters and regualtors of our salmon runs were way off. The one salmon limit imposed on river anglers was a big blow to the river salmon fishing indusrty, and as it turns out was completely unnecessary. We saw a large number of jack salmon and 2 year old solmon again this year, both in the saltwater and in river fisheries. 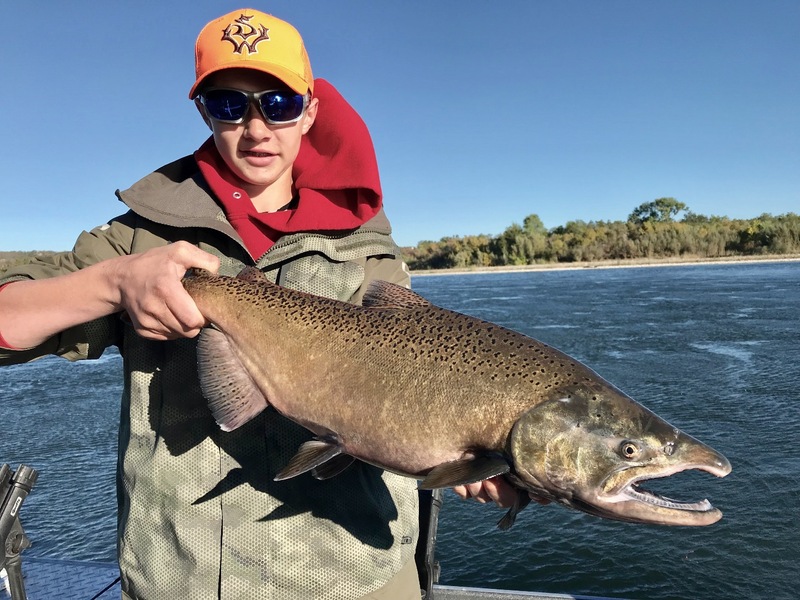 This fact, along with favorable ocean conditions, points to another abundant return of King salmon to the Sacramento Valley in 2019. I'm hoping the government agencies that monitor and manage our salmon fisheries are paying attention and put this years information to work when setting our seasons and our daily limits. This is my last week fishing for salmon on the Sacramento River before moving to Shasta Lake to fish for big trout! I will start guided trips after Shasta Lake turns over and after I get prepared for a long busy season ahead. 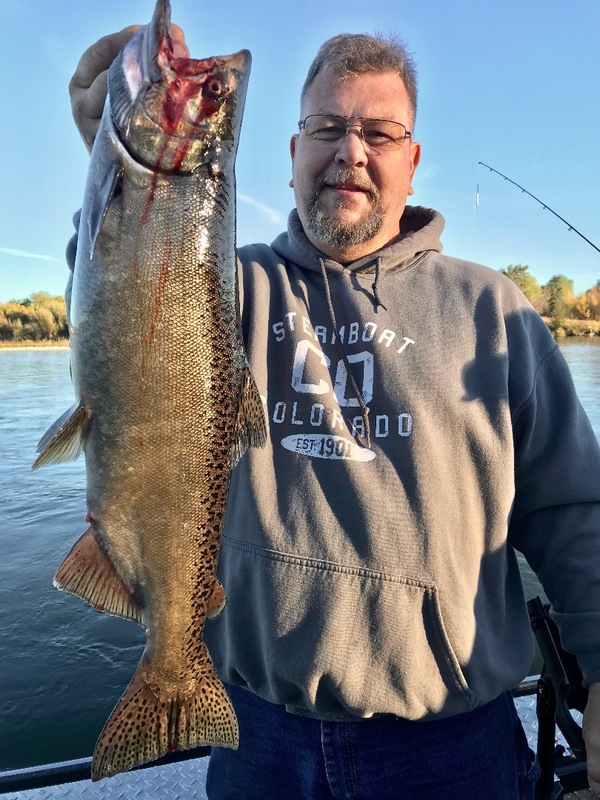 I only have 10 days of availability left in November for our trophy brown trout trips so if you're wanting to get into some big fall browns on Shasta this season, now is the time to book your trip. Thank you! Gary with his birthday King he caught with us yesterday! More hatchery steelhead are showing every day. salmon/trout/Steelhead trips are still available if you want to catch some great fighting fish! Bob got his salmon early in the day and got things started off right! Fall salmon finale just weeks away!